Note: Only part of the story has been translated. It appears the project was dropped. 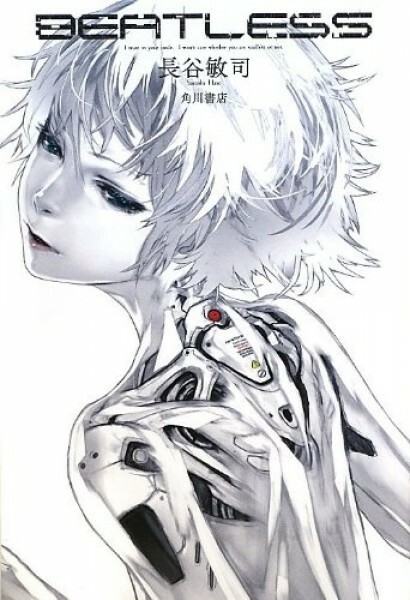 Yea, seeing the pictures, I knew it’s the same illustrator from Guilty Crown, redjuice always has a pretty signature futuristic style. Have you read it? I have not read it, but I do plan to give it a try one day. It looks interesting, and I’m curious to see if this free online distribution of the LN works out. The site shows the translation up to (Chapter 2 – Phase 01), do you have any idea as to where i can find the rest of the translation? Oh and can we is an english printed edition available? I believe the novel is not fully-translated at this time, and because of that there is no print version available yet. We’ll have to wait and see if there will be more updates this year. Will you continue translating this? Will you translate more of this? The anime seems like a piece of crap production-wise but the novel seems decent.